Using ancient Ayurvedic methods, Sensitive Planet is pleased to bring you the finest quality scent oils using the three most sacred, high vibrational scents of India! To ensure quality, oils are extracted from the flower buds to produce the most potent and fragrant oils using a natural steam distillation process that's been followed for thousands of years. 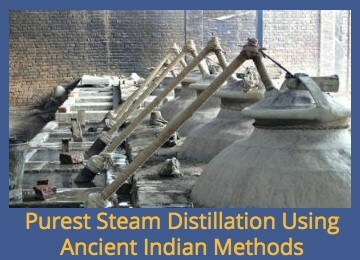 Furthermore, the quality of oil depends upon the duration between the actual plucking of the flower bud and when the distillation process starts. To ensure quality & potency, flower buds are immediately distilled upon plucking. Jasmine, Sandalwood, and Rose Oil! The jasmine flower is associated with love. Jasmine also symbolizes beauty and sensuality. Jasmine represents appreciation and good luck. When used in religious ceremonies jasmine represents the purity of the heart. Jasmine fragrance is the Siddha Presence in the mystical yogic traditions. Jasmine fragrance is high vibrational and uplifting to our mind. Stress relief, mood enhancing and inspirational. Known as one the most important flowers in India, the ancient version of Jasmine represents Purity, Sensuality, and Grace. Jasmine can be used for worship, meditation, intimate moments, and even as a daily perfume. Jasmine oil is a popular natural remedy for improving mood, overcoming stress, depression, and insomnia. The jasmine flower’s message is mysteriously complex and means different things in different settings. Its pristine beauty and heady fragrance speaks of love and evokes positive feelings. In Indian culture, as in western cultures, jasmine symbolizes purity, and as such, it usually adorns the hair of young women in various parts of Southeast Asia. 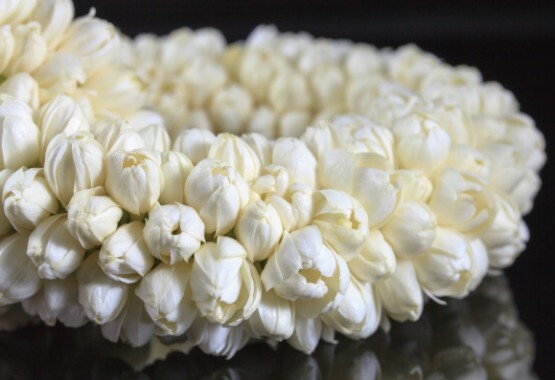 The jasmine flower is the symbol of God Vishnu and is used during some religious rituals in the house or in the temple, expressing the desire for the purity of the spirit. 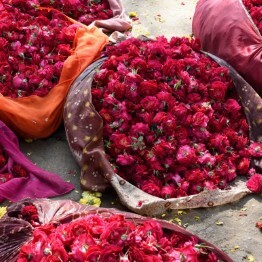 For his scent in India, they think that it symbolizes forbidden love on earth, and according to the legend, the Indian god of love Kama attached flowers of jasmine to his arrows. Ancient Siddha Sage Bhogananthar’s Presence can be experienced through Jasmine fragrance. 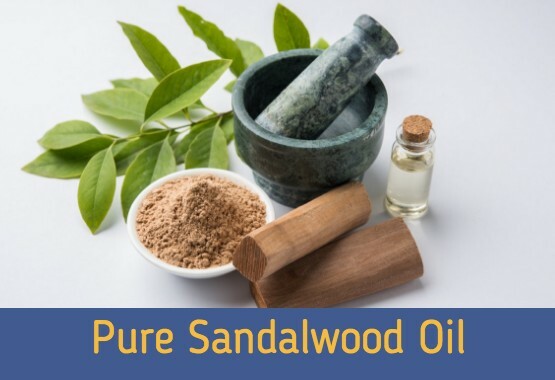 Sensitive Planet is pleased to offer the purest form of Sandalwood Oil that has been sustainably sourced directly from the South Indian Government to ensure purity and quality! Sandalwood Oil is one of the most sacred herbs of the yoga, Ayurveda tradition. Calming Sandalwood is a wonderful meditation tool. Its sedative property clears stress from the nervous system. Essential oil applied to the third eye awakens intelligence and lifts depression. Applied to vital points alerts the mind to optimism and it promotes mental clarity, focus, and balance. Sandalwood oil has been used to treat infections, coughs, acne and it relieves itching, inflammation, and dehydrated skin. Apply Sandalwood Oil on vital points to meditate deep. Excellent meditation tool. Applying to the third eye assists in greater awareness in meditation. The fragrance of Sandalwood Oil provides immediate stress relief, clarity of mind, and inner harmony. Sandalwood Oil by itself is high vibrational as a sacred altar item. Sandalwood Oil represents the energies of abundance, Goddess Laxmi. Excellent effect as a deodorant against body odors. Indian Rose Oil— known through centuries as the fragrance India's unique essence of aristocracy & culture. Rose represents across the globe as the miraculous essence of Love in all religions and cultures. Indian Rose Oil has a distinct exclusive fragrance. Used as a perfume, altar offering, and as high energy space fragrance. Rose Oil promotes relaxation, moisturizes dry skin, treats wounds, reduces blood pressure and soothes headaches. The fragrance of sensuality, beauty, self-confidence. Utilize as Divine offerings of the Heart. Rose is the most perfect gift of pure love. Awakens our innate good nature of compassion, empathy, kindness, and goodness. 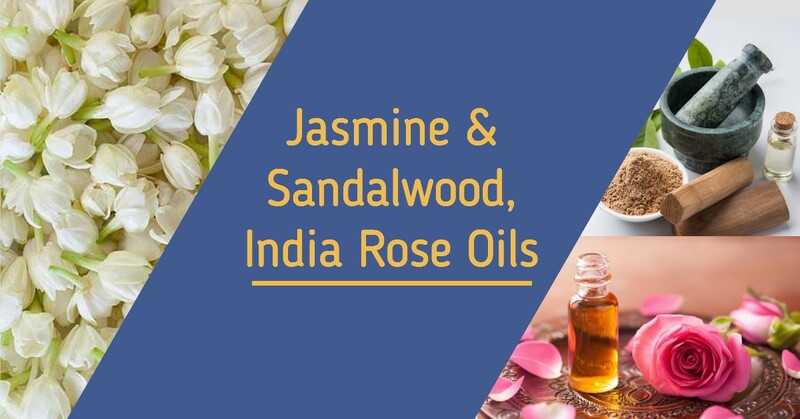 6 units each of Jasmine and India Rose fragrance in 3ml size @ $10.50/unit. 12 units each of Jasmine and India Rose fragrance in 3ml size @ $9.50/unit. 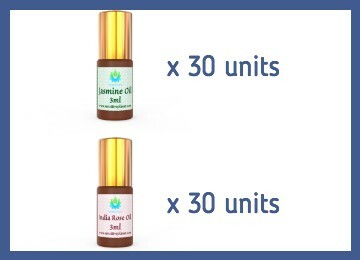 30 units each of Jasmine and India Rose fragrance in 3ml size @ $8.50/unit. 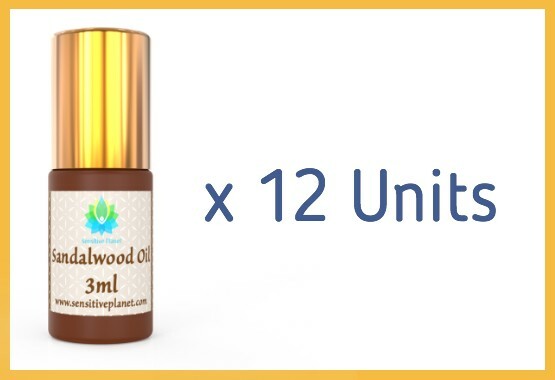 12 units of Pure Sandalwood Oil in 3ml size @ $17/unit. 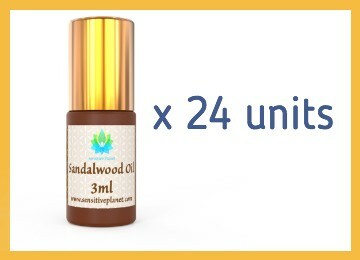 24 units of Pure Sandalwood Oil in 3ml size @ $14/unit. 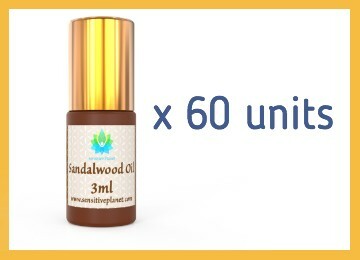 60 units of Pure Sandalwood Oil in 3ml size @ $12.50/unit.